For those of you who follow me on social media, you will have seen I travelled to the Blue Mountains, Millthorpe and Orange in NSW a couple of weeks ago. I put a few things on my Instagram story at the time, but I really wanted to write about our trip here as well. We had a great time, and of course food was pretty much our main focus! So I wanted to share a few great cafe and food finds that we stopped at, and a few I want to try whenever I next get the chance to go back. I have broken this post up into two, Blue Mountains then the Central West, as there are just so many things to mention one post would just be too long! To see my second trip post on the Central West click here. One of the first places you can stop on your way up the Mountain (or one of the last on your way down), and is well worth a visit. The main street, Ross St, is a short detour off the Great Western Highway and features a handful of great cafes and a few other shops that are well worth a look. Much quieter during the week than on the weekends, Glenbrook gives off a relaxed vibe that lets you know you aren’t in Sydney anymore - which for our trip, was exactly what we wanted! We ate at both the The Church Glenbrook and Vincent. The Church Glenbrook is a lovely old wooden Anglican Church which is now a coffee shop and brew bar. It is the sweetest old building, painted and decorated so tastefully in keeping with the history of the building, wooden floors and the lovely old church windows taking centre stage. They serve Campos coffee and Tea Craft teas, and have lots of homemade cakes and biscuits - when I ordered I noticed a large oven behind, and a rather colourful KitchenAid mixer which made me feel like we were definitely in the right place! Vincent is a slightly larger cafe on the other side of Ross St (opposite The Church), with a more extensive menu. There is an old feel to the place, as they have utilised lots of second hand and vintage things in the fit out of the cafe - again making me feel right at home. We stopped here on the way home, as the menu looked so enticing when we had a look a few days before, and combined with the name of the place, it was just meant to be. I would definitely go back to both of these cafes, and I think Vincent in particular would make a lovely brunch spot if you were just getting out of Sydney for the day (or for a few hours). Highlights: The Church Glenbrook, Vincent, Clearing the Closet, Nice Old Stuff. A frequent stop for us, purely due to Hazelbrook Cottage Antiques. 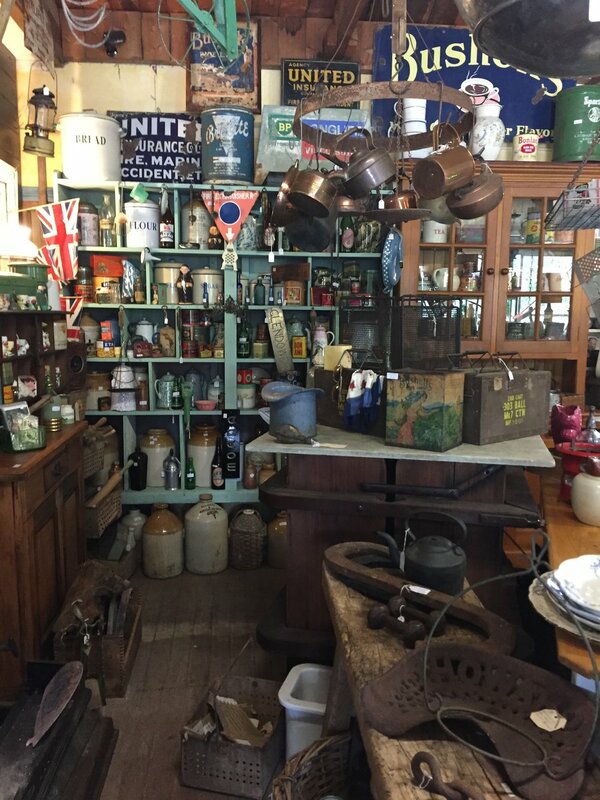 Easily my favourite antique shop in the Mountains, it is jam packed full of old treasures, with such a variety of things almost everyone who loves antiques and vintage would love it here. 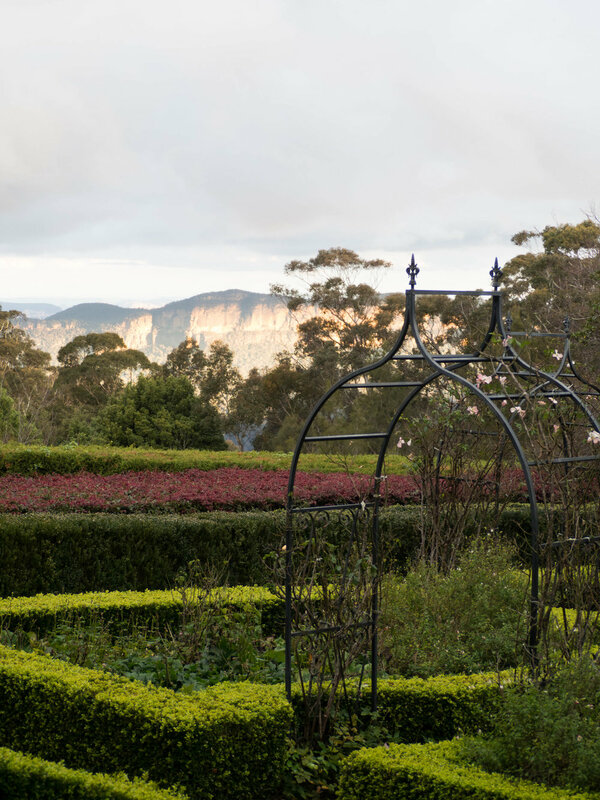 Leura is always a bustling place, being a popular stop for tourists and day trippers alike. Leura Mall is the main street for cafes and shopping, and is exceptionally close to Leura train station. Parking can be difficult, so be prepared to walk a little as parking close to the Mall on the weekends in particular can be scarce. The surrounding streets are so quaint however, that taking in the old houses, B&B’s and gardens only adds to the lovely atmosphere of Leura. Highlights: The Leura Garage - We had eaten here only a couple of months before, so didn’t stop in this time. However, the pizzas are great, and I had the best pulled pork burger here last time, so I am keen to go back soon! Leura Gourmet Cafe & Deli, Megalong Bookshop, Few & Far Homewares. We stayed in the Mountains for one night at Lilianfels Resort & Spa in Katoomba on Echo Point Rd. 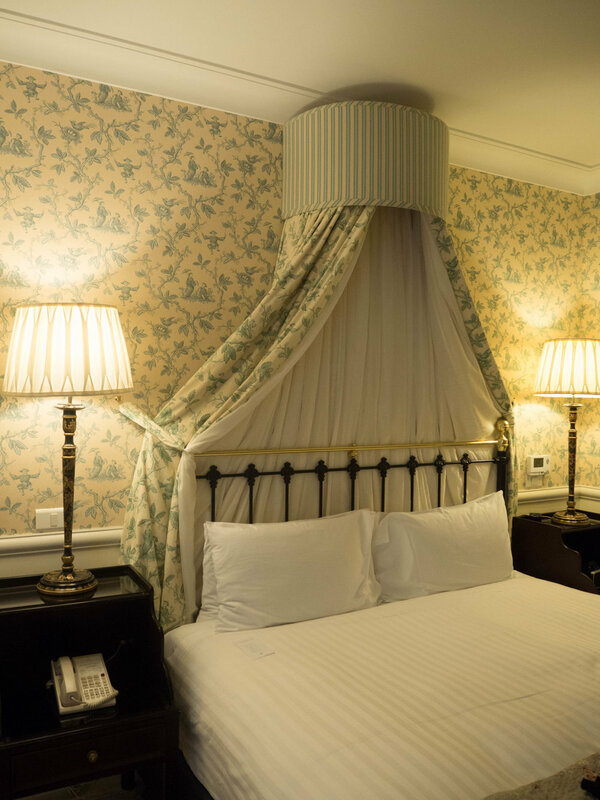 It was a lovely hotel, and decorated to a high standard. 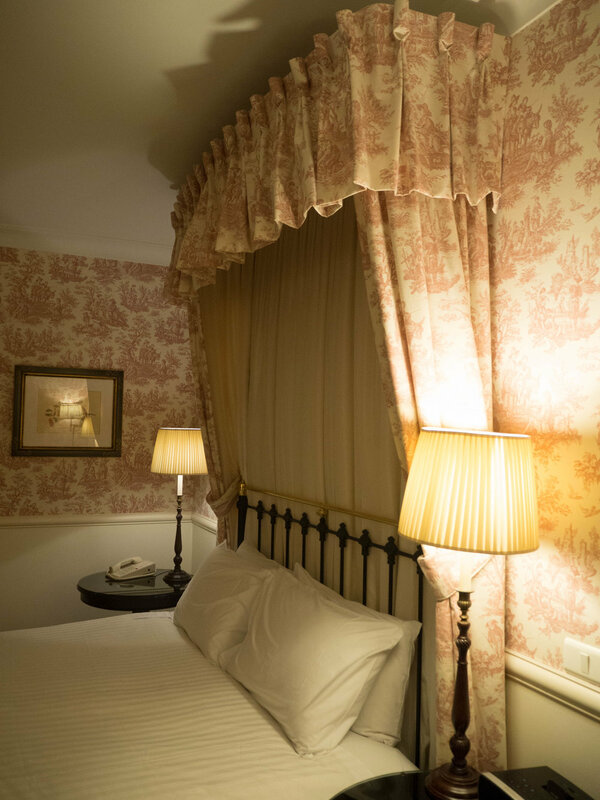 I loved the patterns used in the rooms we had, and that everything in each room matched the colour scheme and patterns used. We had booked into a high tea on the day we arrived, which was a nice way to relax after driving from Sydney. We sat in the lounge which was quiet as it was a weekday. The high tea was nice, maybe not the best I’ve ever had, but a lovely thing to do when staying at Lilianfels. They also offer Devonshire Tea in the lounge which would be a nice option to try as well, particularly if you didn’t want all the food that comes with a high tea. Echo Point Lookout is a short walk from Lilianfels, and we went down after High Tea on our first day and before we left the following day. Both days the lookout wasn’t busy, and the differing times of day created a different light over the valley and Three Sisters. 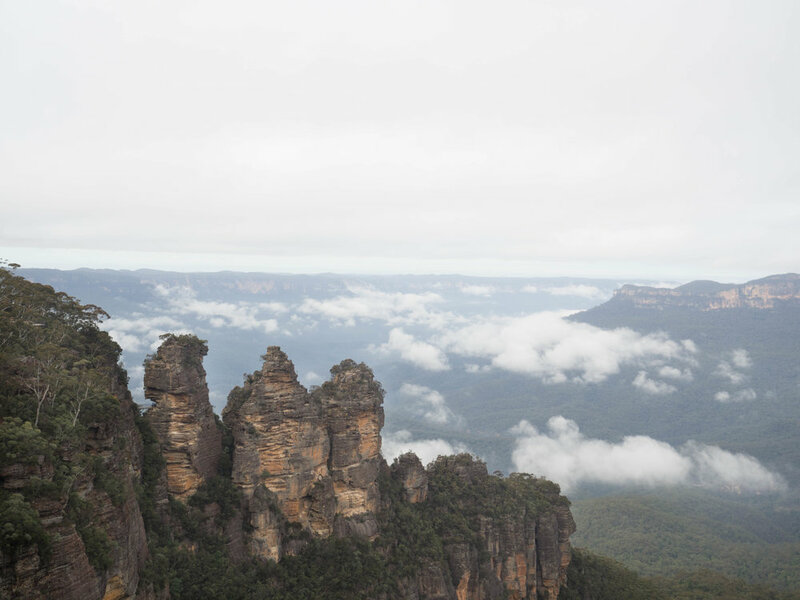 Highlights: Lilianfels, Echo Point Lookout - the Three Sisters. Despite having been to the Hydro Majestic Hotel last year for High Tea, we didn’t realise there was any more in Medlow Bath. 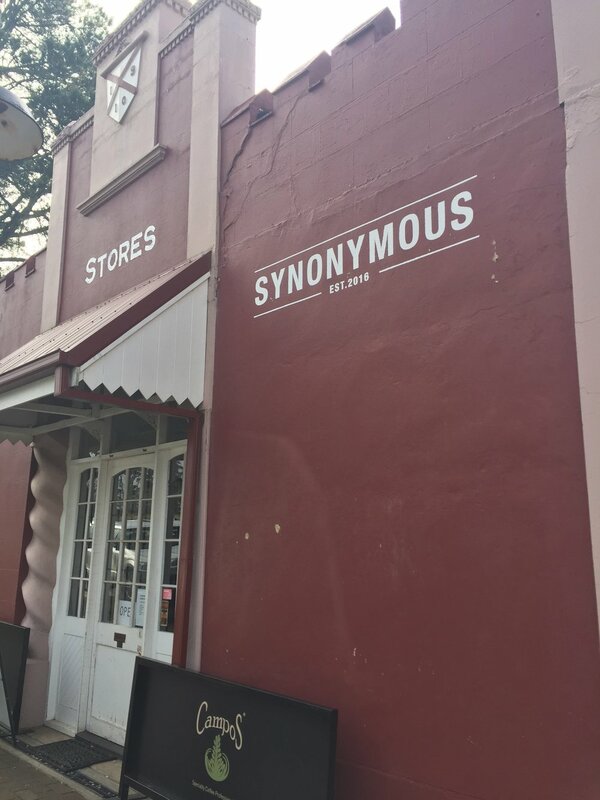 When researching cafes to try, and where we could have breakfast after leaving Lilianfels, I came across Anonymous Cafe in Blackheath and their sister cafe in Medlow Bath, Synonymous. Out of the sample menus on each website we decided Synonymous Cafe was where we should have breakfast - they had homemade crumpets on their menu so we had to go there! Synonymous is on the other side of Medlow Bath Train Station (not the Hydro side) on Railway Parade - it’s easy to find and park as it’s the only cafe there! The cafe’s menu changes seasonally, and they make everything, bar a few of the sweets in the front cabinet themselves. The building is an old general store, and like some of the other cafes we went to in the Mountains, Synonymous had been designed with the history of the building in mind. They serve Campos Coffee and T Totaler tea, and I can highly recommend their crumpets! They seem to be a menu staple, but the accompaniments change with the seasons - when we had breakfast there they were served with roasted stone fruits, candied pistachios and crème fraîche, when we stopped in for coffee on our way home they had moved into a more Winter menu, and were paired with rhubarb and whipped cheesecake mousse. I have since made some crumpets inspired by our visit to Synonymous and the rest of our time away, and I’ll share the recipe here on the blog soon! We didn’t stop too long at Blackheath, having already decided to eat elsewhere. It would be a good place to stop on your way back to Sydney from the Central West as it’s not too far up the Mountain coming from that direction. We stopped in at the Victory Theatre Antique Centre, and while not the best antique shop in the Mountains, is worth a look if you have time. As you can see we really tried to eat at as many places as possible, whilst also keeping the pace of our trip slow and relaxed. There are quite a few places I would love to go back to, and new places to try another time. 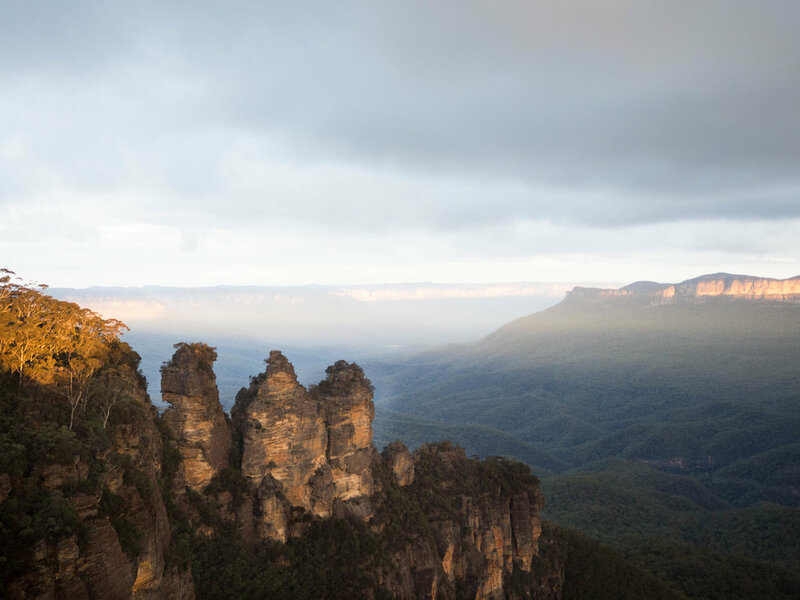 Do you have any recommendations for the Blue Mountains? I’d love to hear your thoughts! To follow our trip onto the Central West, click here!